Imation CEO Mark Lucas has bowed to the inevitable after losing an activist investor proxy war, and is set to exit the company he failed to turnaround. 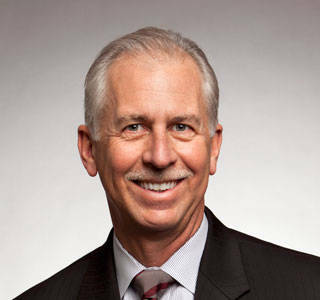 Lucas became Imation chief in 2009 after predecessor Frank Russomanno outstayed his welcome and drove the company into a loss-making cul de sac through over reliance on tape and optical storage media. During his tenure, Lucas has presided over constantly falling revenues and repated losses. When the exec signed up the top job, Imation revenues were $1.67 billion but by the close of fiscal '14 they'd slumped by more than 50 per cent in five years to $729.5 million. Lucas failed to close loss-masking lines of business fast enough and didn't buy into growth areas. He oversaw the acquisition of Nexsan, the storage array business, for $120 million in 2013. It has not been a success story. Activist investor, The Clinton Group, spied a turnaround opportunity and bought into Imation, but after a bruising proxy war had Lucas voted off the board in May. An Imation S1 filing says Lucas sees his board expulsion as reason enough to say his contract of employment is being terminated and he'll leave some time after 21 September. Mark Lucas, Imation CEO; soon to be ex-CEO? A report says Lucas is entitled to $4.8 million in exit pay. It seems he wins if he wins and he wins if he loses. Getting nearly $5 million in contractually-obliged pay in such circumstances of company impoverishment suggests the contract Ts&Cs were written by feckless individuals on the board. The same mistake is unlikely for the newbie that Imation is currently seeking.